Picture courtesy of Gordon Lonie. We need to understand beaver biology and their habitat requirements to better understand where restoration with beaver might be appropriate and what they need to survive. This discussion would be remiss without some context for the history beaver in north America, including their near extinction from fur trapping. The region we're in here in Cache Valley is known as Bridgerland, after Jim Bridger. Aleksiuk M. 1970. The seasonal food regime of arctic beavers. Ecology: 264-270. Barnes DM and Mallik AU. 1997. Habitat factors influencing beaver dam establishment in a northern Ontario watershed. Journal of Wildlife Management. 61(4): 1371-1377. Baker BW and Hill EP. 2003. Beaver (Castor Canadensis). Feldhamer GA, Thompson BC and Chapman JA (Eds), Wild Mammals of North America: Biology, Mangement and Conservation. The Johns Hopkins University Press: Baltimore, Maryland, pp. 288-310. Hill EP. 1976. Control methods for nuisance beaver in the southeastern United States, 25 pp. Karraker NE and Gibbs JP. 2009. Amphibian production in forested landscapes in relation to wetland hydroperiod: A case study of vernal pools and beaver ponds. Biological Conservation. 142(10): 2293-2302. DOI: 10.1016/j.biocon.2009.05.002. Novak M. 1987. Beaver. Wild Furbearer Management and Conservation in North America. Ministry of Natural Resources, Ontario: 283-312. Roberts TH and Arner DH. 1984. Food habits of beaver in east-central Mississippi. The Journal of wildlife management. 48(4): 1414-1419. Seton ET. 1925. Lives of game animals.Vol 4., Part 2, Rodents, etc. Doubleday, Doran, Garden City, NY. Wright JP, Jones CG and Flecker AS. 2002. An ecosystem engineer, the beaver, increases species richness at the landscape scale. Oecologia. 132(1): 96-101. DOI: 10.1007/S00442-002-0929-1. Meentemeyer, R. K., J. B. Vogler, and D. R. Butler. 1998. The geomorphic influences of burrowing beavers on streambanks, Bolin creek, North Carolina. Zeitschrift Fur Geomorphologie 42:453-468. History of beavers in Connecticut - Wilson, J. M. 2001. 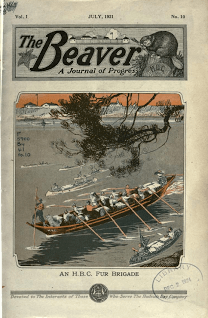 Beavers in Connecticut: Their natural history and management. Connecticut Department of Environmental Protection, Wildlife Division. Hartford, CT. 18 pp. 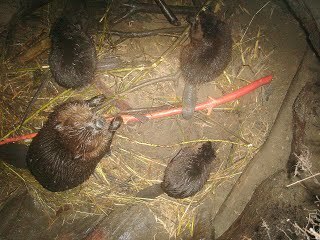 History of beavers in the Columbia River basin - It is impossible to miss the importance of beavers in the history of the Columbia River. The principal object of land-based fur traders in the Northwest of the 1800s, beavers were plentiful, easily trapped and valuable. Their thick, water-resilient fur was transported across country to Canada and New England for manufacture into coats, shawls, blankets, and hats, and traded in China for tea and spices.